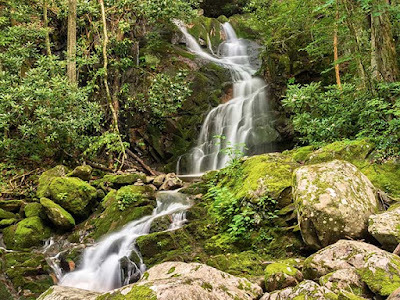 One of the national parks that we will be visiting during our June USA roadtrip will be Great Smoky Mountains National Park. Believe it or not, GSM is America's most visited national park which gets about 9 million visits every year. This is more than twice the second most visited national park, the Grand Canyon. Founded in 1934, it is 522,419 acres and is currently the 19th largest national park in America. GSM actually borders both Tennessee and North Carolina, with elevations changes from 800 feet all the way up to 6,643 feet! This altitude change means that temperatures can easily change almost 10 degrees Celsius!